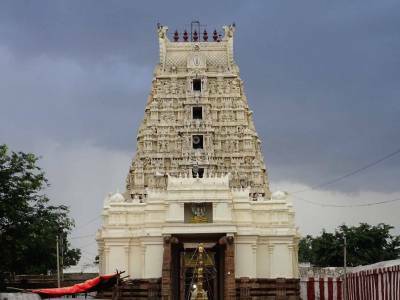 Ahobilam is a pious and sacred temple in Kurnool district's Allagadda town in the Nallamaal forest of the Indian state of Andhra Pradesh. It is a very important and highly significant pilgrimage destination for the Hindus. It also happens to be one of the most fascinating places to visit in the entire state of Andhra Pradesh. 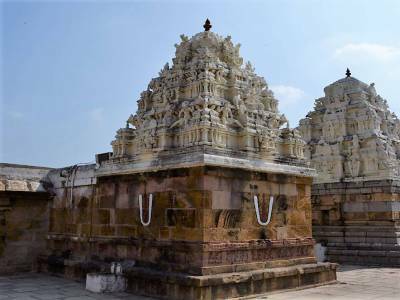 As Lord Narasimha is worshipped in all of his 9 forms here in separate temples for each form and the only place where it is done so, the place is also called Nava Narasimha Kshetra. Although a few of these temples can be accessed quite easily, however; for some, very uphill trek through rocky paths and thick forests needs to be crossed before arriving. The town is divided into two parts namely Lower Ahobilam and Upper Ahobilam. 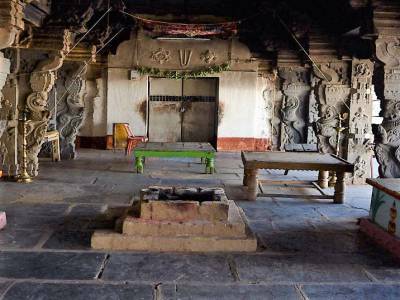 6 of the shrines are located in the upper Ahobilam whereas 3 of them are in lower Ahobilam. Ahobilam is a very popular temple of South India and people from all over the nation come to visit this beautiful temple. 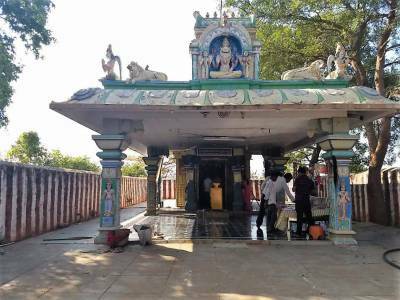 The nearest airport from the Ahobilam Temple is in Tirupati at a distance of 229 km whereas the international airport of Hyderabad is 333 km away. As far as railway mode of communication is concerned, the nearest one is at a distance of 60 km in Prodattur. There is also another railway station which is comparatively a little nearer and it is the Jammalmagudu Railway station. As for roadway journey, direct bus service is available from Kadapa in the Kurnool district. So the Ahobilam temple is equally very decently connected with all the 3 modes of transport viz. air, rail and road. Bramhotsavam is celebrated in a grand fashion from February to the middle of March. 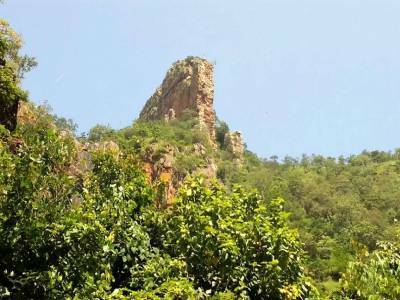 The best time for visiting the Ahobilam temple is without any doubt during the rainy season as barring the great temple you also get to enjoy the majestic natural beauty of the Nallamaal forest acting as an icing on the cake. Get quick answers from travelers who visit to Ahobilam.